WISE Logistics addresses food handling, storage, and preparation encompassing several production disciplines such as receipts, storage, movement, returns, and replenishment activity. For many facilities, food services bakes all of the bread served to inmates, processes fresh and frozen products, prepares hot meal items on site, and assembles each meal. Inmates receive multiple meals per day, and staff must follow very strict guidelines to ensure meals meet USDA dietary recommendations. Despite the rules and regulations, public officials are charged with the responsibility to provide these products and services in the face of ever increasing pressure on budgets. Food services in city, county, state, or federal detention centers is a complex operation governed by strict rules of safety, sanitation, security, and supervision. In most locations, county staff is required to directly supervise inmate workers in the preparation of food, service of meals, and the cleaning and sanitation of food service equipment and facilities. 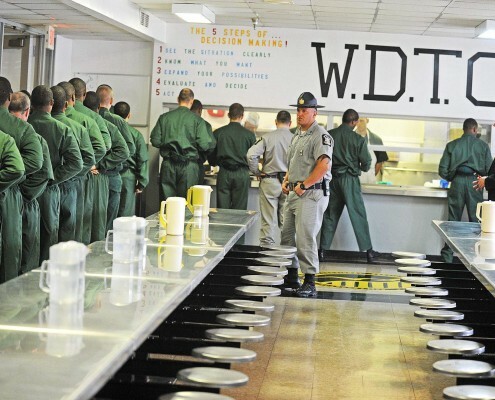 In addition to supervision, staff must also educate working inmates in proper food handling techniques and sanitation in accordance with Federal, State and Local Health Code and statutes governing the recall and reporting for contaminated food products. It is common to employ sanitarians to regularly inspect all kitchen facilities and train the production staff on food safety and compliance with all food rules and regulations. In larger facilities, a registered dietician may be on staff to create the menus and modified diet menus, and provides dietary guidance for the health and welfare of inmates. Food Service staff are trained to properly supervise the preparation and service of medical and religious diets which have become common in today’s diverse society. Replace all paper and spreadsheet systems used to manage food handling, storage, and preparation in a main facility or satellite operations. One area to extract increased efficiency is applying WISE Logistics to the process and material handling of food products, inmate worker management, and meeting regulatory guidelines including food safety and recall legislation recently approved or anticipated. 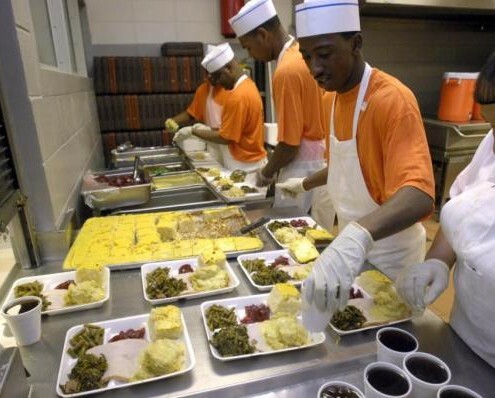 Service of meals generally includes all inmates housed in the central facility, which also involves meals and food related support for work crew and work release programs. Track and Manage Advanced Shipping Notices (ASN) by multiple Purchase Orders or users. Update ERP systems with receipt, stock, and consumption data for issuance of PO’s and requisitions. Use electronic (RF) scanners, tablets, or smart phones to interact with WISE Logistics to receive items into stock against issued PO. Display open slots in the warehouse or storage areas. Pick items (according to FIFO) and expiration date rules. 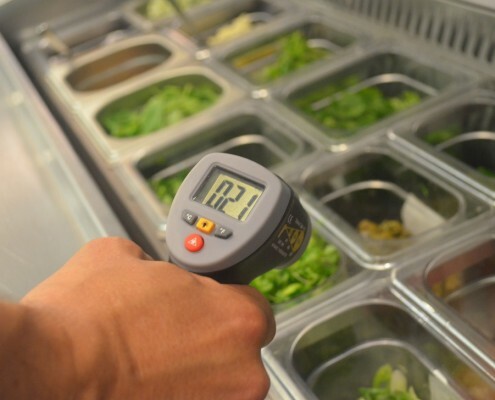 Provide complete traceability for compliance to food recall legislation currently in force. Eliminate all time consuming manual data entry so resources can be used more efficiently. Users must be able to view real-time current inventory, and expected deliveries of food items. Receive and process returns more accurately and efficiently. Prompt to order materials according to flexible usage analysis. Able to produce reports for completion of 3-Way match for Purchase to Pay (P2P) cycles. Users from different facilities must be able to transfer or order items from central or satellite locations. Integration with ERP system or function standalone.